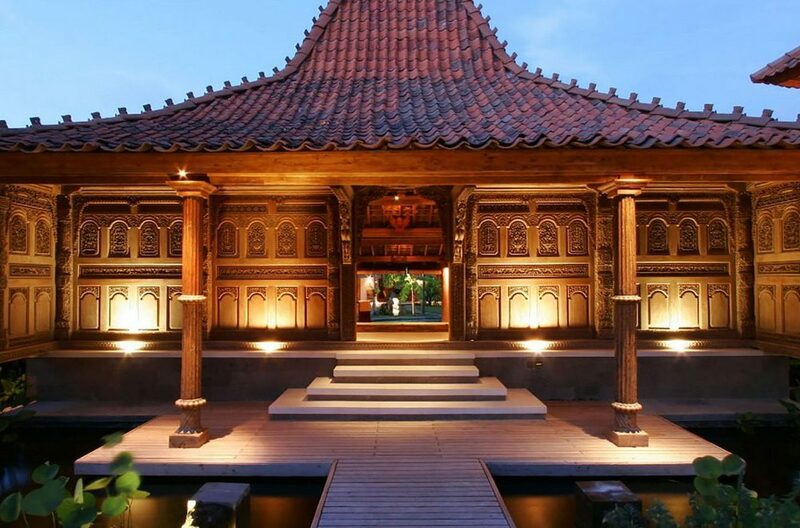 The outdoors of Villa Indes I is unlike any other. 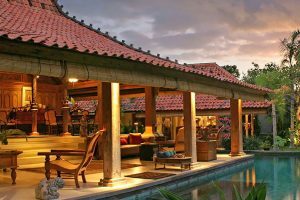 It has lush lawns, traditional Balinese buildings and its striking feature is the stunning pool that meanders all through the grounds of the villa just like a river. Scattered around the grounds are tall trees, exotic flowers and little pockets of ponds with water lilies floating on them. 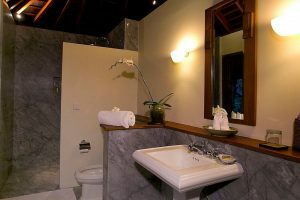 There is ample space for the kids to run around and guests will definitely enjoy walking the grounds or stretch out on one of the many lounge chairs which are duly shaded by trees, and enjoy a drink while they bask in the beauty and sun of the island. 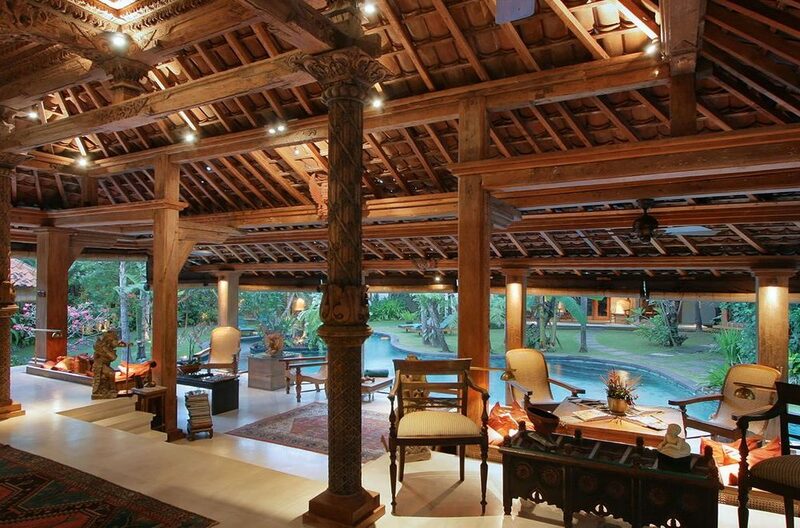 Just beside the pool is an open air wooden structure which houses the stunning living areas of Villa Indes I. 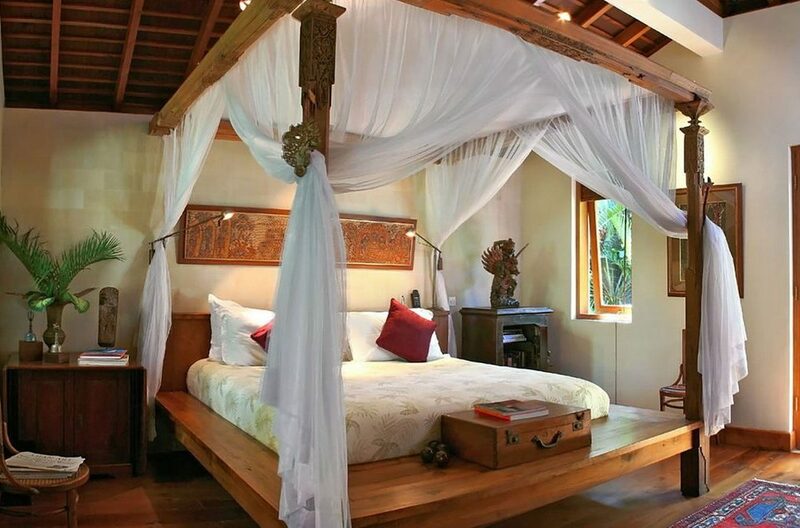 The décor and furnishings of the living room is unmistakably Balinese and traditional. 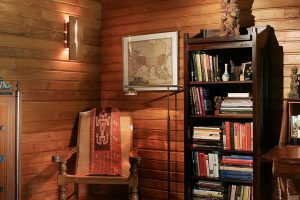 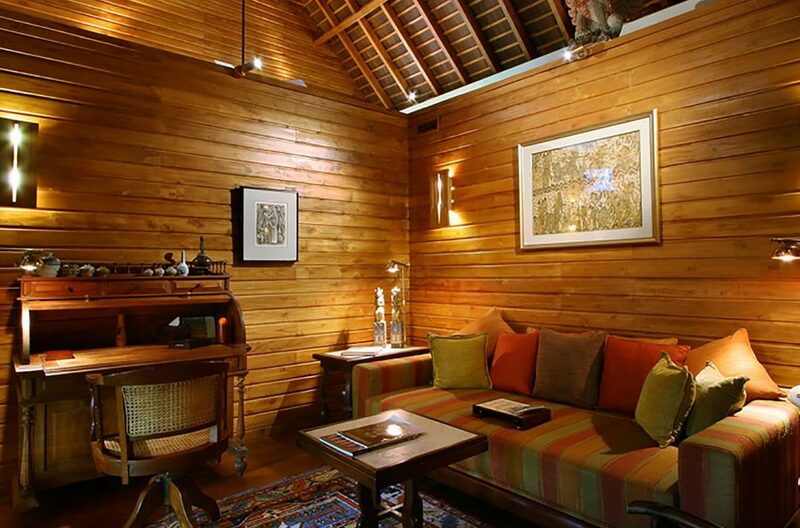 There are comfortable wooden arm chairs, sofas and futons where guests can sit and enjoy relaxing indoors. 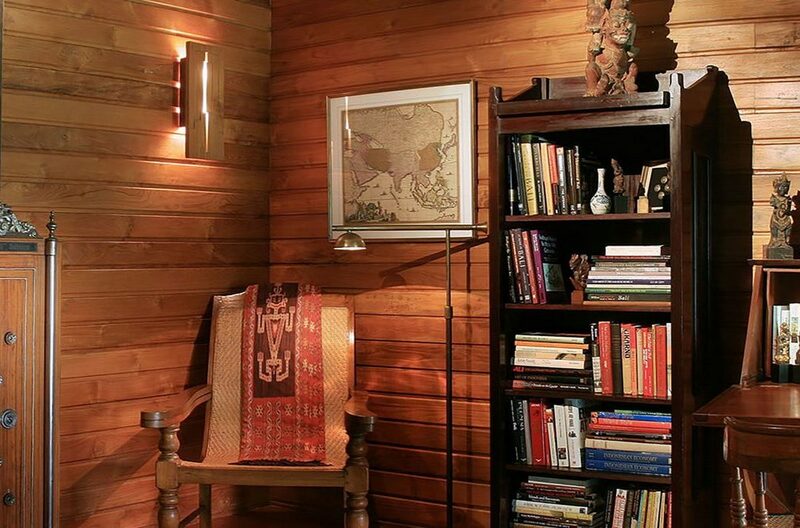 Intricately carved wooden sculptures can be found in every corner of the living area. 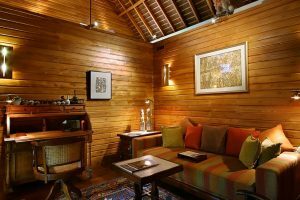 There is also a cosy dining area where guests can sit and enjoy tasty meals either prepared by them or by the seasoned villa chef. 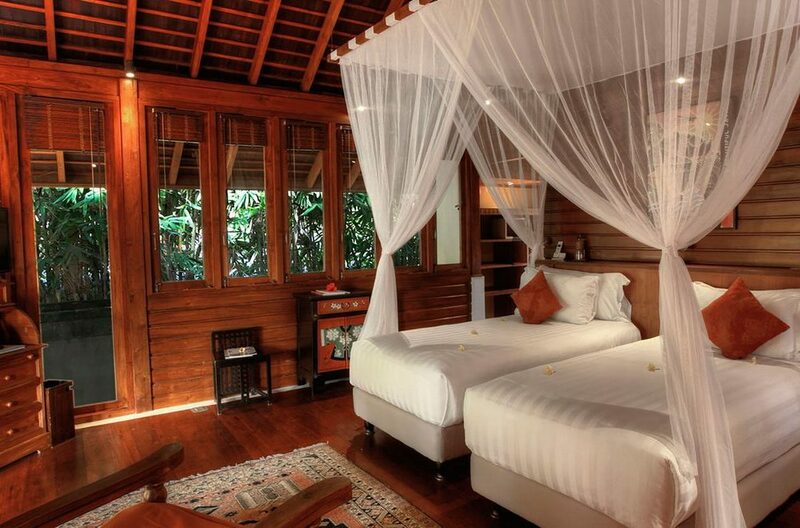 The four stunning bedrooms of Villa Des Indes I are housed in two separate wooden pavilions. 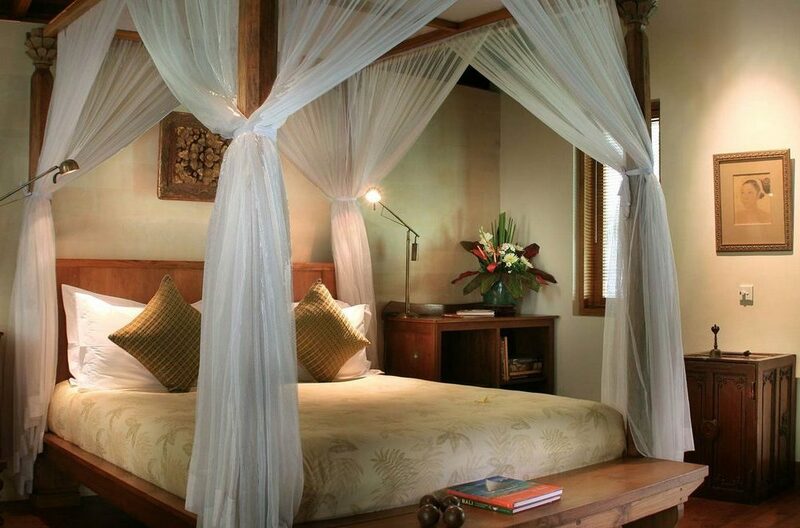 There are two master suites which have four poster king beds with lovely silk drapes hanging down them. 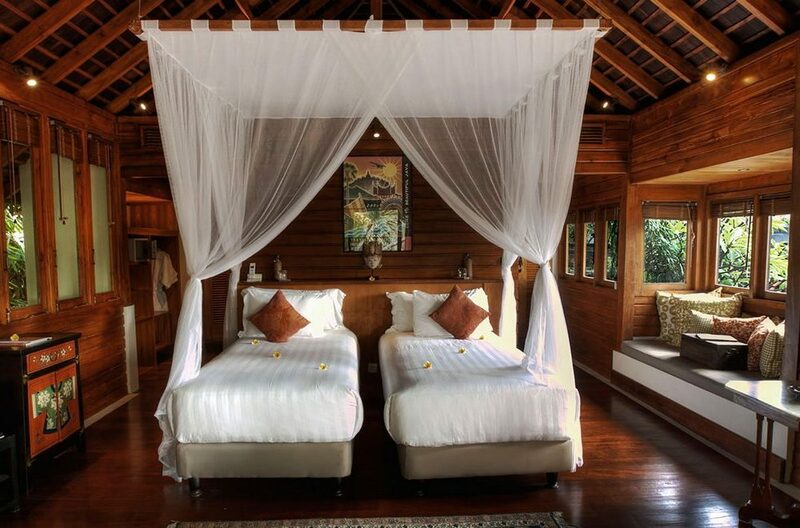 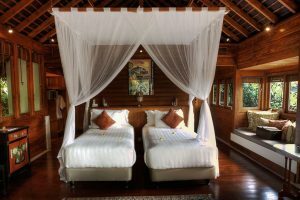 These master suites have bathrooms with luxurious tubs and rainforest showers. 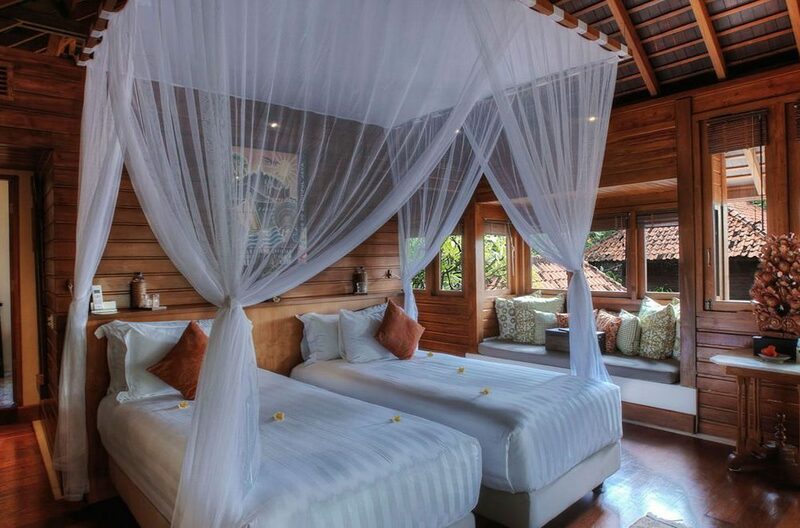 The other two bedrooms are in another pavilion and while one has a queen bed, the other has twin beds. 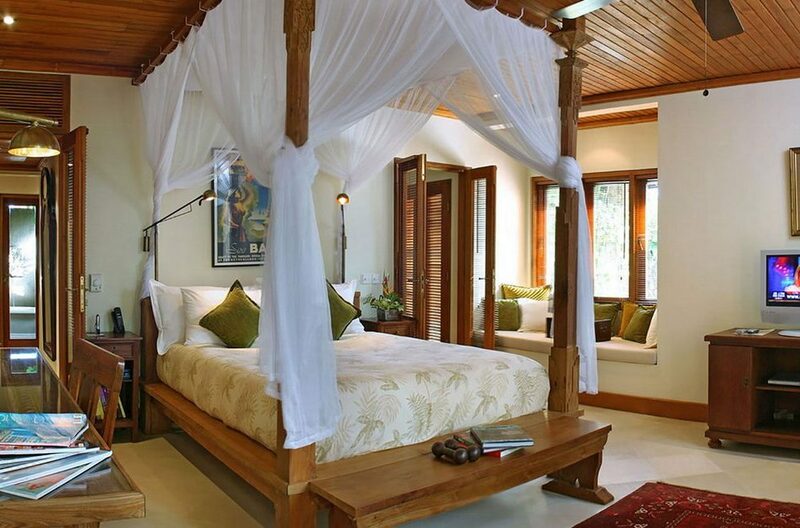 These bedrooms also have ensuite bathrooms. 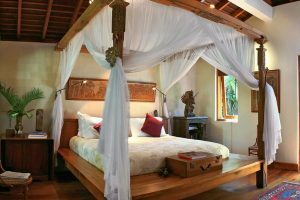 The four bedrooms of this villa are spacious, luxurious and definitely comfortable so that guests can enjoy a well-deserved rest after a full day spent exploring. Villa Des Indes I benefits from the services of a dedicated and trained staff which includes a villa manager, butler, chef, security, daily housekeeping, pool and garden maintenance. 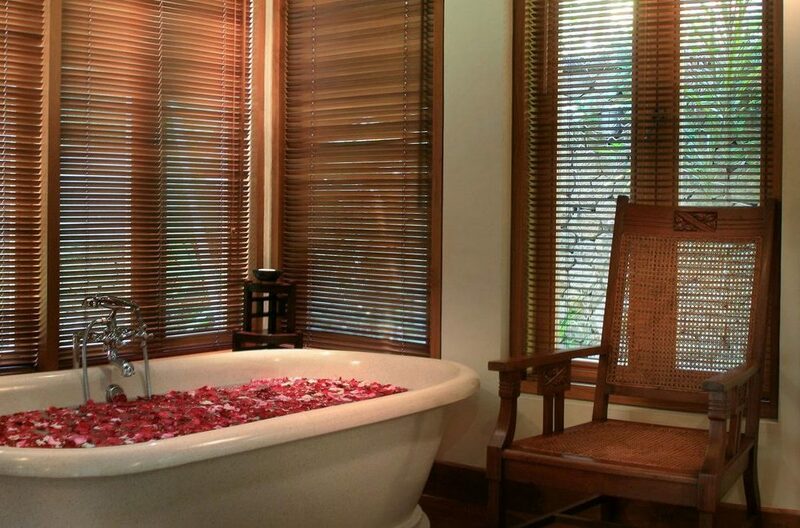 On request, a babysitter, driver and masseuse can be provided. The villa is located in the most sought after area of Seminyak. 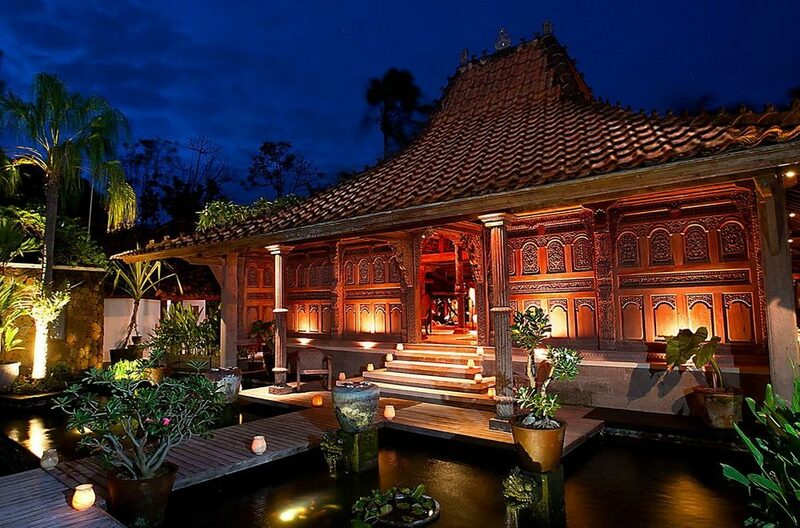 It is tucked into Jalan Astinapura which is just off Jalan Petitenget. 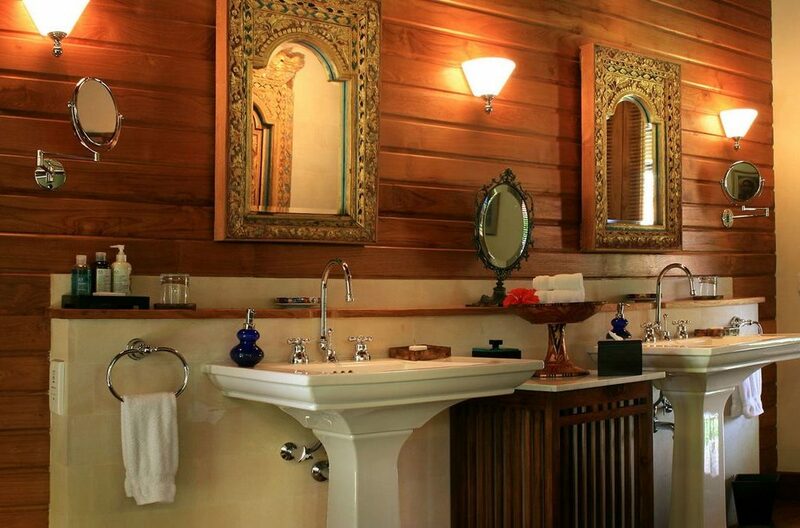 Guests are within proximity of restaurants such as La Luciola and Sea Circus. 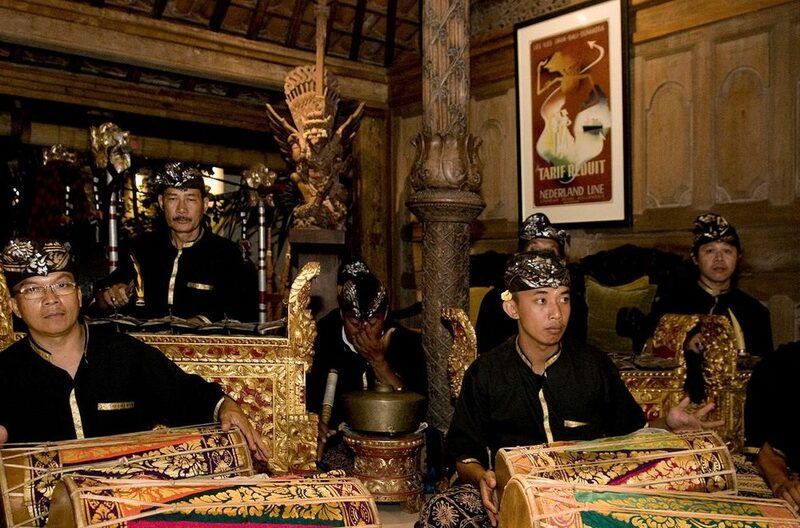 The Seminyak Square is also minutes away and there are lots of cafes, bars and shops located there. 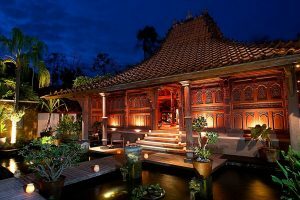 Guests are also in close range to the Seminyak Beach where they can find the Ku De Ta Beach club, Potato Head and several other restaurants. 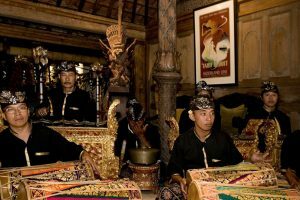 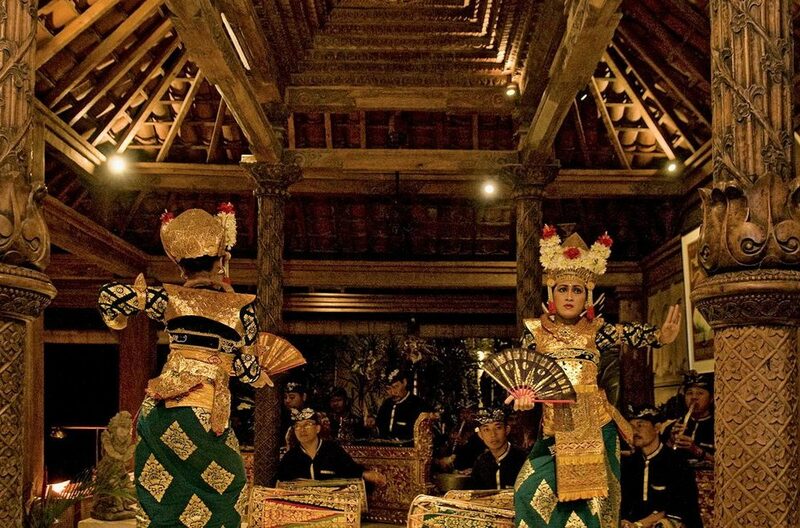 With these, it is evident that guests of Villa Indes I will never be at a loss of what to do while they have an unforgettable Balinese experience. 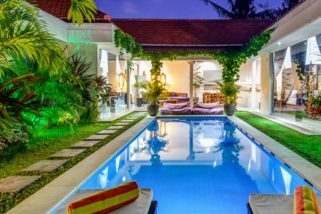 To view other Bali villas or see our full range of Seminyak villas please use this website or speak to one of our reservation staff. 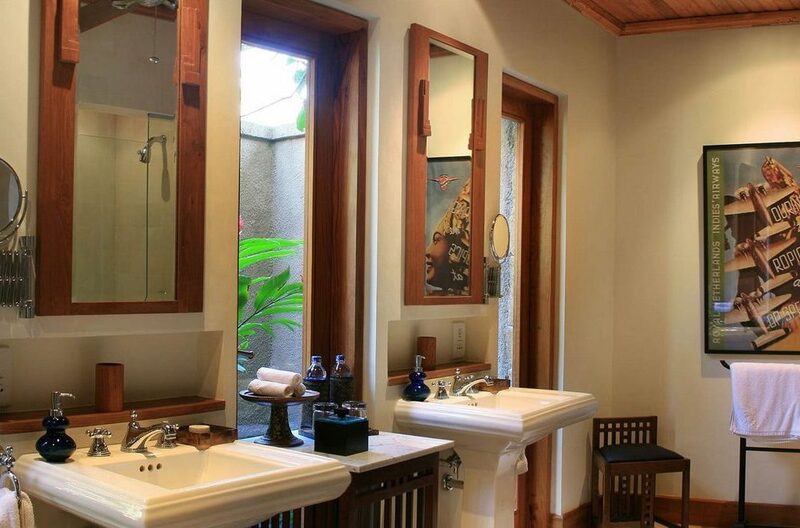 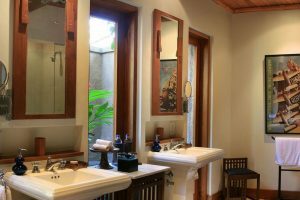 Villa Des Indes 1 is a popular Seminyak Villa so please book well in advance during peak Australian holiday periods. 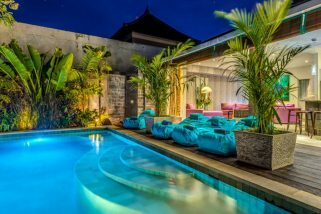 Villa Eshina II is a beautiful 3 bedroom villa in the heart of Seminyak offers luxury, space and great value for money. Close to all the divine restaurants, beaches and cafes, the prime location makes it easy for guests to experience everything this island has to offer.